Coming out to an already buzzing Manchester academy, Retro Video Club started their set with their third single, Famous. This was met with the whole crowd’s arms up in air and fully involved creating an absolutely electric feel that is normally unheard of at 7:30pm in any gig. Steaming through other singles such as Psycho and 3am they arrived at the newest release, Addicted, which from the crowd’s reaction, will have many of them playing it on repeat all week. Having seen Retro Video Club play to only a handful of people in a small Liverpool venue not 6 months ago, it was great to be able to see a band you have followed grow and get an opportunity to share the stage with two other class acts so soon after. 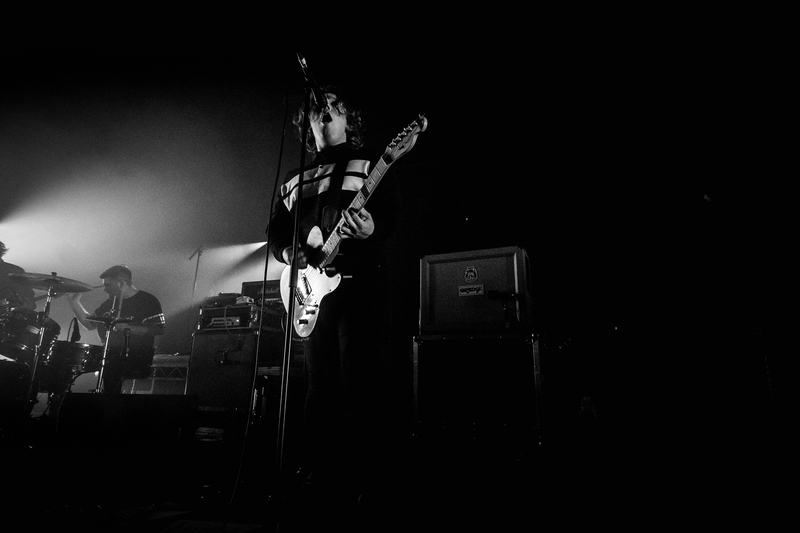 This was in fact their first time ever playing in Manchester and what a venue for their journey in the city to start. Undoubtedly, they will play many a smaller venue in the city, but I think to headline this venue in the future is an ambitious but very achievable goal. Speaking to the band after, I found out that it’s also only the second time they have toured in the UK with a band, so for that to be with The Hunna and to have so many people turning up 2 hours before the main act throughout the whole tour is quite something. After the Scottish rock of Retro Video Club, it was time for the English-born, American-raised Barns Courtney. Playing his most recent release 99, I couldn’t shift a thought from my head. If anyone was ever going to be a Kings of Leon tribute, he should be it. The first time I heard this track, I was convinced it was in fact them, and hearing him live confirmed the likeness was uncanny. Now, Barns Courtney is a name that I have heard brandished about for quite a few years but have never actually put myself out to listen to. As soon as I heard Glitter and Gold I hung my head in shame. I have heard this song as the soundtrack to numerous TV programmes and films, and with the line “Heyyy hey hey hey hey, like glitter and gold” you would’ve had to have lived a very sheltered life not have heard it. I did start to wonder if he was just known as the guy that sings that song, but this was evidently wrong from how the crowd played along with him the whole set. There wasn’t a single track that wasn’t filled with the crowd singing along, arms in the arm and mosh pits everywhere. It was clear that the whole crowd was dancing and you could just felt the joy and happiness in the room. From the hundreds of bands I have seen over the years, there are very few that I have seen command a crowd as well as he did. He really knows how to work them, and from his 11 years in the Seattle, it’s quite clear the influence that has played with his typical American charisma and stage presence. Finishing the set with Fire, he got the crowd well and truly fired up, with the line “Give me that fire” sung back to him urging to just give more. 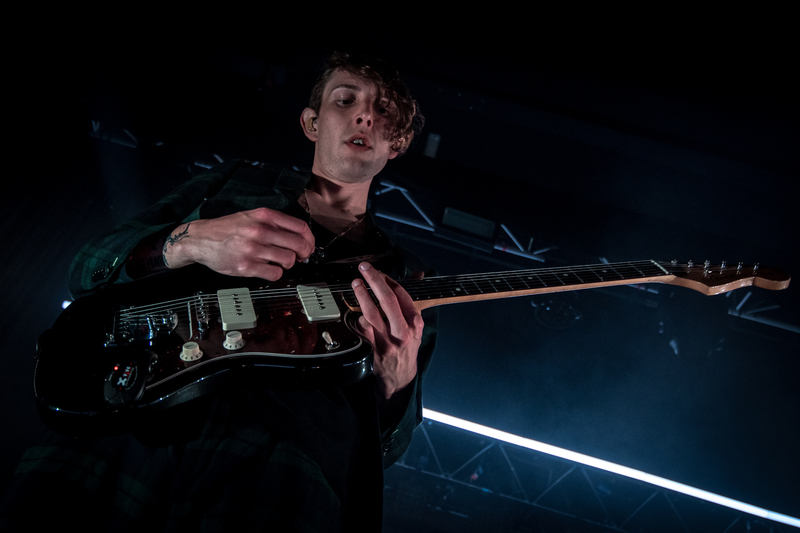 If I didn’t know The Hunna were after, from the number of people in the room, the reaction from the crowd, and the way he played, this felt like it was the main act. 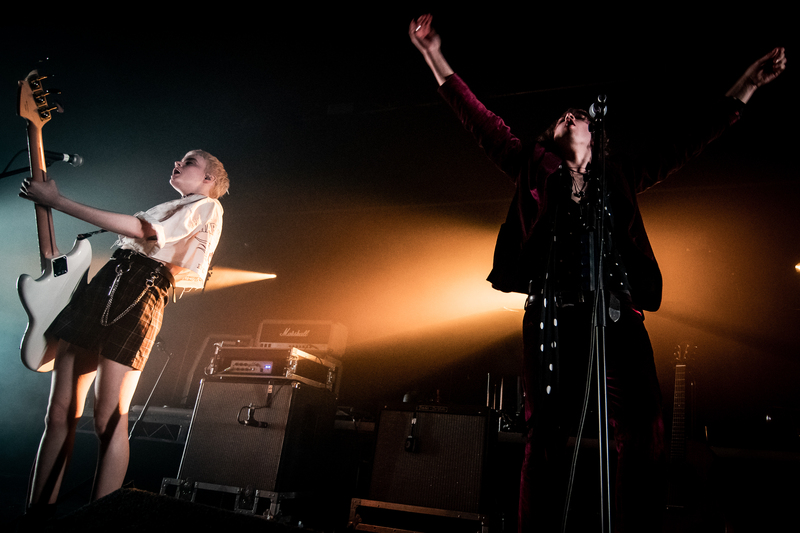 After the colossal set from Barns Courtney, it was time for The Hunna, and as soon as he walked off stage you could feel the buzz in the room step up. After the classic singalong songs in between the sets, The Hunna graced the stage. However, before they started playing they gave an emotional few words about the troubles they’ve been through which has obviously been a tough time for the band. However, with that out of the way, their troubles seemed to have been put behind them as they kicked off with the second track from their debut album We Could Be which was met with screams from the fans who sang throughout the entire song. Following this, Fever was first song of their second album in the set list. This was the first time I’ve heard it live, and what a treat it was. It was a true show of how the band have developed since the first album. With heavy indie rock sound, it was met with statutory mosh pits through and so the first jumper of the night was sacrificed, with the second following suit soon after. The passion that oozes through their debut album 100 will never relieve, and Still Got Blood & Bad For You are yet more tunes that never fail to hit me deep. With deep lyrics and addictively catchy melodies, they reel your heart out of your body and bring everyone’s in the room together. These were followed by a heartfelt acoustic rendition of Brother. It is unusual for an acoustic number to be this early in the set, but it could’ve been the first song on the set list and it still would’ve fitted in perfectly. This created the perfect arms round your friends, on each other’s shoulders belting out the words kind of atmosphere. Playing another track from the second album, Babe, can I call?, from just the opening riff, it brought screams of joy and it’s clear that this is a new fans favourite that will never leave the set list. After returning to a few more tracks from 100, they came back with a run of songs off the second record starting with the title track Dare followed by YDWIWM with the hook “we’re too loud, don’t turn us down”. Rest assured, no one in the audience will be turning The Hunna down in the next few days. It’s going to be both albums on repeat and on full volume. After a night like this, there is no other option. Following a few more thrilling tracks from the album, they played a brand new unreleased track, I Get High To Forget. This is evidently an ode to the people they wish to forget and despite this never being heard before, by the end it felt like the crowd knew every word which has got to be a hugely positive sign for the future of The Hunna. By this point it became apparent that the rest of the set was just a prelude to an explosion of fire which was the now staple indie classics She’s Casual and Bonfire. Playing She’s Casual, the first ever song written, the crowd sang the entire first verse off just one chord and could’ve probably done so for the whole song. This was replicated in Bonfire and you couldn’t see a single set of hands not in the air with everyone dancing and just having fun. When you stand back and watch acts like this you cannot argue that this IS new age RocknRoll. Friends going to a gig to have fun, dance and sing with their best mates. 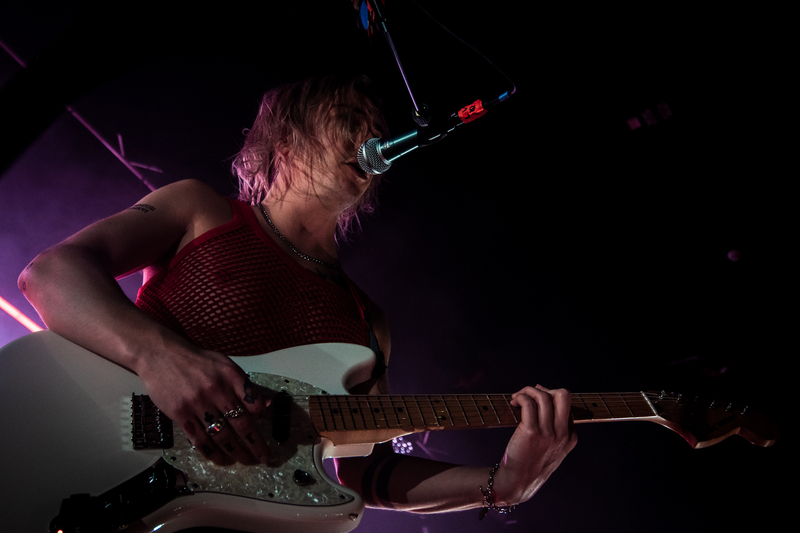 Returning to the stage for an encore, The Hunna teased the crowd with another new unreleased track What you waiting for? This is as big a track they have ever written so far and with Ryan all riled, up he put down his guitar and went for a bit of crowd surfing for which the crowd reacted accordingly. Closing with one of their biggest tracks Never Enough, the crowd went crazy for one last time. 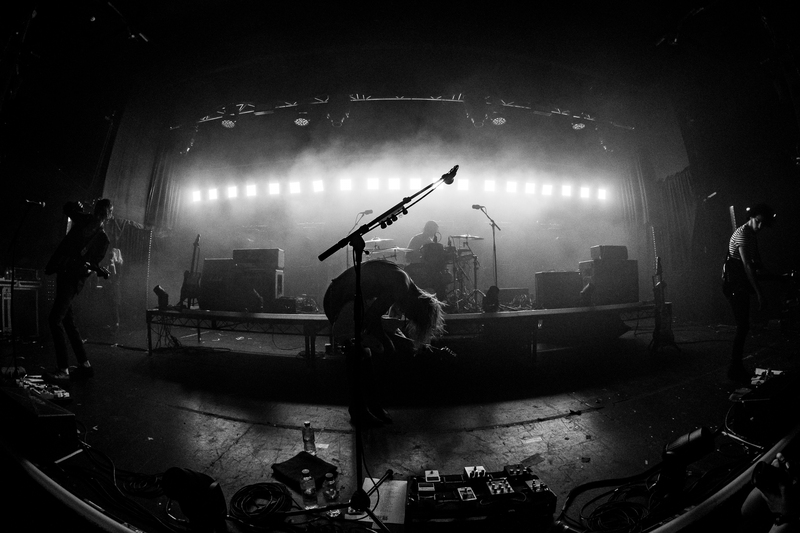 This is further testament to how good The Hunna are, especially their first album. For a song to get a crowd to react in such a way, you have to be something special, and The Hunna most certainly are something very special and I’m sure they will continue on the same path for years to come.